Recent readership levels for On An Overgrown Path have been notably high and there is also an interesting trend behind those positive headline numbers. My recent post We need to widen the definition of forbidden music attracted few comments and generated little social media activity. Yet the number of people reading it - which is the true measure of success - has been exceptionally high. In fact the readership for the forbidden music post is significantly higher than other popular recent posts which have generated considerably greater buzz on Facebook and Twitter. This trend should be noted by all those classical music marketeers who confuse levels of social media activity with true measures of success. Also on Facebook and Twitter. 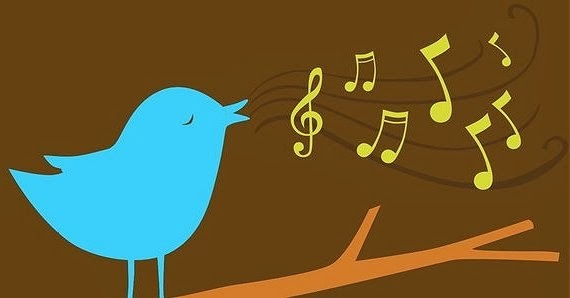 Header image comes via Classic FM's guide to Twitter. Any copyrighted material on these pages is included as "fair use", for the purpose of study, review or critical analysis only, and will be removed at the request of copyright owner(s). Great to hear that the Forbidden Music post has attracted such a wide readership – as indeed it should – but isn't blogging a kind of social media? A genuine question. Gavin, it's an interesting - and good - point you make. For me the distinction is between micro-social media such as Facebook, Twitter, Reddit, Snapchat, Instagram etc which are in the ascendant, and macro-social media such as blogs which are in the descendant. Wonderful to hear the Forbidden Music post is being widely read. I think we are both relatively generous with our posts... not all music bloggers stretch to much more than a picture and a link nowadays. So true Gavin. But can you really call some of those who only publish a link and a picture music bloggers? I prefer the term vulture journalists. But swim against the tide I will. So very shortly you will be able to read the longest post in the nine year history of OAOP.